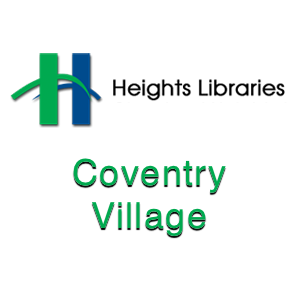 The Coventry Village branch offers a diverse popular collection, including Fiction and Non-fiction books, videos, DVDs, recorded books, CDs, teen materials, and children’s materials. The Coventry branch also receives 250 Russian books from Cleveland Public Library every other month and has a small number of other foreign language books including Japanese, Chinese, Korean, French, and Spanish. The library is currently in the process of developing a Local Author Collection of books and audio-visual materials by Cleveland Heights and University Heights authors.